Nick has started a low carb diet since he cannot exercise with a broken foot, so I'm trying to make lots of fresh ingredient dinners. I just started my pizza herb Aerogarden a little over a month ago, so I ain't mad at all. Bring on all the dinners with basil! 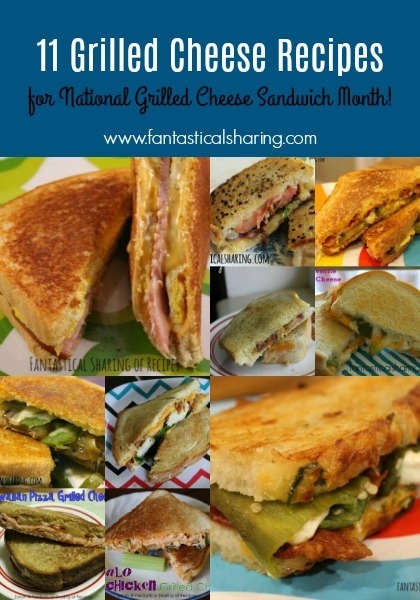 April is National Grilled Cheese Sandwich Month and even though it's almost over, there is still time to make a grilled cheese or save a bunch of new recipes to try later. Over the years, I have made tons of grilled cheese recipes because I love them, my husband loves them, and, of course, my kids love them too. 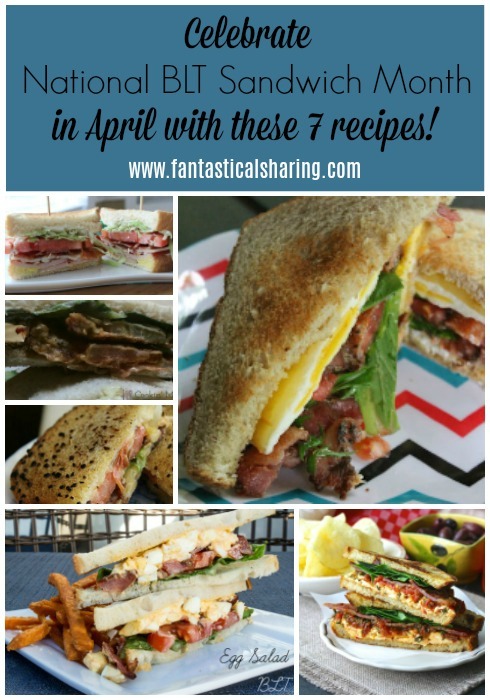 The following 11 recipes are some of my favorites I have posted! Burgers made from beef and chorizo topped with caramelized onions, bacon, and spicy jalapenos! I was totally on board when I saw this burger had jalapenos and bacon. I was even more on board when I found out that it was a mix of beef and chorizo. I was literally the board when I found out it had caramelized onions - haha! This burger has all sorts of good toppings to go with an excellent combination of traditional beef and spicy chorizo. I loaded mine up with jalapenos and caramelized onions and it was just plain good. I know that's not a particularly strong descriptive word, but sometimes that's just the best way to say it. Good. Mix up Taco Tuesday with this chicken salad that features corn, black beans, sauteed peppers, and a spicy chili lime dressing! Salads are one of the most versatile meals and one of my all-time favorite lunch foods. I could eat salad every single day honestly. Every once in a blue moon, I'll make salad for dinner and I really enjoy making southwest/Tex Mex type of salads on Tuesdays. I just love having corn and black beans in my salad. This particular salad also has a little chili lime ranch dressing that really puts it up on a pedestal for me, a person who doesn't regularly eat or enjoy ranch dressing. This dressing is perfectly seasoned and has the right amount of heat to not overpower the salad, but to give you that little kick that is just perfect for Taco Tuesday. This mouthwatering recipe contains roasted tomato and asparagus, steak, pesto pasta, AND a fried egg to top it all off! I know the picture says sundried tomato, but that was the original and I was not paying attention when I was editing pictures. Much professional. I also completely left out the pesto part, which in my eyes is pretty important because pesto is important. Regardless of my naming faux pas on my picture, this recipe is amazing! I am not really largely into sundried tomatoes, but love roasted grape tomatoes, so that's what I subbed in. It works perfectly in this recipe since you have to roast asparagus too. Steak got added to the mix because we were craving steak and thought...why not?! Overall, the elements all worked together wonderfully and made a meal that is definitely a favorite for most of my family (Matthew doesn't like asparagus too much). I'm looking forward to all the recipes this week and cannot pinpoint one that is calling out to me over any of the others. There are two favorite recipes being made that we actually do eat quite often. Then there are tons of new recipes that look so wonderful. Granola topping and a teensy bit inside the batter adds great texture to this breakfast muffin recipe! I'm not particularly fond of bananas by themselves, but I love bananas in bready type foods like bread (LOL) and muffins. I love banana pancakes. I also love banana pudding. But anyways, banana muffins are definitely an acceptable way for me to eat bananas and I had saved this recipe from one of my Secret Recipe Club assignment blogs to make at some point (not for reveal day). I loved the idea of using granola as a topping and I loved having chocolate in the muffins even more! I love recipes like these EASY CROCKPOT PORK CARNITAS where you just throw ingredients into the crockpot and hours later, shred, stir, and serve on a tortilla! This month's Fantastical Food Fight theme is STRAWBERRY SHORTCAKE. I wasn't sure what I wanted to make for this month's food fight until I was meal planning. I was looking through my breakfast board on Pinterest and saw this recipe and knew it was the one. I was excited when I discovered it was an easy breakfast because I have not been very good at making breakfast recipes lately. These donuts are basically like Chinese donuts. They are ridiculously easy to make and they are quick. All you need is a tube of refrigerated biscuits, cinnamon sugar, whipped cream, and strawberries. Plus oil to fry them in. The biscuit dough ends up light and fluffy. The strawberries and whipped cream were literally perfect with them. I could have eaten a whole batch by myself! I have made quite a few fiesta salads but this is by far my favorite. The blackened chicken was wonderful on its own, but it was the salad mix that really blew me away. It's not a salad with lettuce or leafy greens. It's a salad with chickpeas, tomato, and corn. I think it was my first time using chickpeas and we really enjoyed them. The salad itself was even better the next day after the flavors had married a little more. This amazing homemade spaghetti sauce can be made in bulk for freezing and is simmered for over an hour to really marry the flavors. 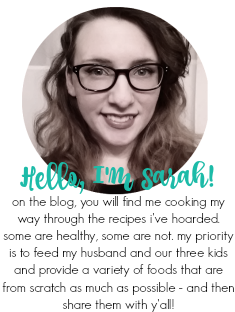 I'm not sure if I've ever outright stated it on my blog, but I know I have put it on a "get to know me" template on my Instagram stories...Spaghetti is my favorite meal. Ever. I have tried countless homemade spaghetti sauce recipes and I do like most of them, but I am kind of picky on what I look for in a spaghetti sauce. I don't like a sauce that's too tomatoey and I like a very meaty, thick sauce. Don't at me with that runny sauce. I like lots of herb taste - especially basil and oregano. I was so happy with this spaghetti sauce. It had the right balance of everything and it also makes a load of sauce. I halved the original recipe and still had a ton leftover. We're having our Easter dinner a little on the late side because Nick's mom was out of town for Easter. Easter isn't a huge holiday for us and we don't really do much but give the kids some candy. We do, however, love Easter dinner and I cannot wait for ham. We don't have ham enough. Also carrot cake because it's probably my second favorite cake behind chocolate.